We can give you the beautiful and extraordinary smile that you have always wanted! With two locations in Cockeysville, MD and Shrewsbury, PA, Dr. Robert Park and our team are the office to visit in the community! We offer the latest technology with Damon Braces, Damon Clear Braces, Invisalign, and Invisalign Teen. We welcome you to the Keystone Family. We are conveniently located in Cockeysville, MD next to the Cockeysville Public Library and in Shrewsbury, PA in the Shrewsbury Professional Commons, across from the Wal-Mart. Our office has provided the highest quality orthodontic care with exceptional service to the community for decades, having created thousands of beautiful smiles! Contact our office to schedule a complimentary consultation with us today! In both locations, we have early morning and late evening hours that make it easier to work with your busy lifestyle. Our complimentary consultation can let you know the ways we can improve your smile. We accept most insurance plans and provide interest free and long-term financing to make your orthodontic care as affordable as possible. 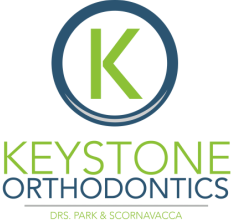 Keystone Orthodontics provides excellent orthodontic treatment serving Lutherville-Timonium, Towson, Phoenix, Parkton, Monkton, New Freedom, Stewartstown, Glen Rock.